The importance of understanding Dickens's religion to obtain a full appreciation of his achievement has long been admitted; but this is the first critical study of the interaction between Dickens's religious beliefs and his creative imagination throughout his career. The novelist's religious beliefs are a pervasive and deeply felt presence in his works even if they are not always clearly thought out or expressed. Too discreet and humane to be as explicit, or as dull, as most of the professedly religious novelists of his time, Dickens nevertheless suggests in his own way a liberal Protestant belief, shot through with Romantic, transcendental yearnings, which undoubtedly appealed to a very wide range of readers. Dickens's religion is shown to be that of a great popular writer, who created a unique kind of fiction, and a unique relationship with his readers, by the absorption and transformation of less respectable contemporary forms, from fairy-tale and German romance to tract and print. 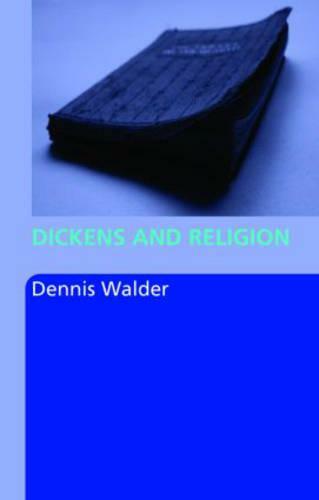 Walder's thoroughly researched and lively book provides students of Dickens and the Victorian period with an original perspective on the novelist's methods and attitudes. He offers a judicious and informed exploration of Dickens's obsessive themes, from the 'fall' of innocence in Pickwick Papers, to the search for a religious 'answer' in Little Dorrit. Each chapter focuses upon the striking congruences revealed between individual novels, or groups of novels, and particular religious themes. The views expressed in Dickens's lesser fiction and non-fiction are drawn on throughout, as are those in the influential contemporary press.